EIGHT TIME ALL-Ireland winner Michael Fennelly says he’s ‘very much interested’ in a stint at inter-county coaching or management — but not until further down the line. The Kilkenny great called time on his playing career with the Cats last December, almost 12 years after making his senior debut in 2006. Ballyhale Shamrocks midfielder Fennelly bowed out with eight Celtic Crosses, nine Leinster titles, five National Leagues, three All-Stars and the 2011 accolade for Hurler of the Year following a glittering career in the middle-third. The 2008 All-Ireland winning captain has a huge interest in strength and conditioning (S&C) and is a lecturer of Sports Science at Limerick Institute of Technology (LIT). And S&C coaching, or even management at senior inter-county level, is something that really appeals to the 33-year-old. “Without a doubt, yeah,” he said at the Electric Ireland GAA Minor Star Awards, when asked if he was interested in getting involved with S&C at senior inter-county level. “Very much interested. I’m probably more interested in the coaching side of things to be honest, or even the manager side of things as well. I’ve knowledge in S&C, I’ve knowledge in most of the areas now; nutrition and video analysis. That’s a big, huge plus, so head manager or head coach is where I want to be at some stage,” he grins. “But no, I’ve a huge interest in it. I’m trying to hold myself back from getting in because if you go back in, you’re at it four or five nights a week, more. We’re on about the ESRI report with players putting in 30-odd hours a week. “Managers, selectors, backroom team, they’re probably putting in maybe — I don’t know — 40, 50 hours a week, I’d say. I have no time for that at the moment to be honest. I want to take a break, to a certain degree, in terms of those commitments. 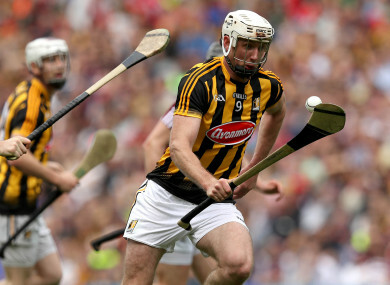 I’ve just finished with Kilkenny less than a year now. Fennelly added: “I’m very eager to get into it. I’ve a passion for it, definitely. “I like working with players. I’d like to work with younger players and develop them maybe in terms of 19, 20, 21. I’d love to develop them more maybe if it’s strength, the mental preparation or whatever it may be, just small things to try and improve players. Still playing club hurling with Ballyhale under the watchful eye of former teammate and now club manager Henry Shefflin, Fennelly admits that he does miss the inter-county set-up. “Without a doubt. To be honest, even just there today you’d be envious of these young fellas now starting out their potential inter-county career. Email “'Eager to get into it, but in due course' - Fennelly interested in inter-county management”. Feedback on “'Eager to get into it, but in due course' - Fennelly interested in inter-county management”.